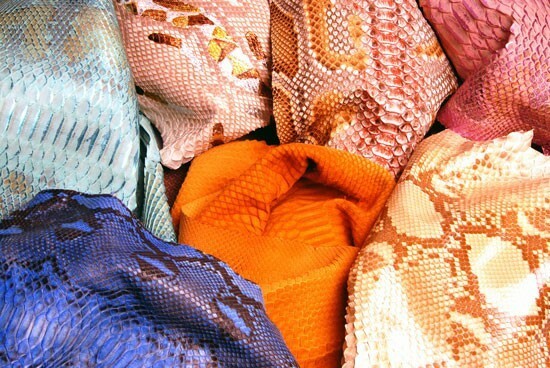 Is it really ethical to abandon exotic leather trade? 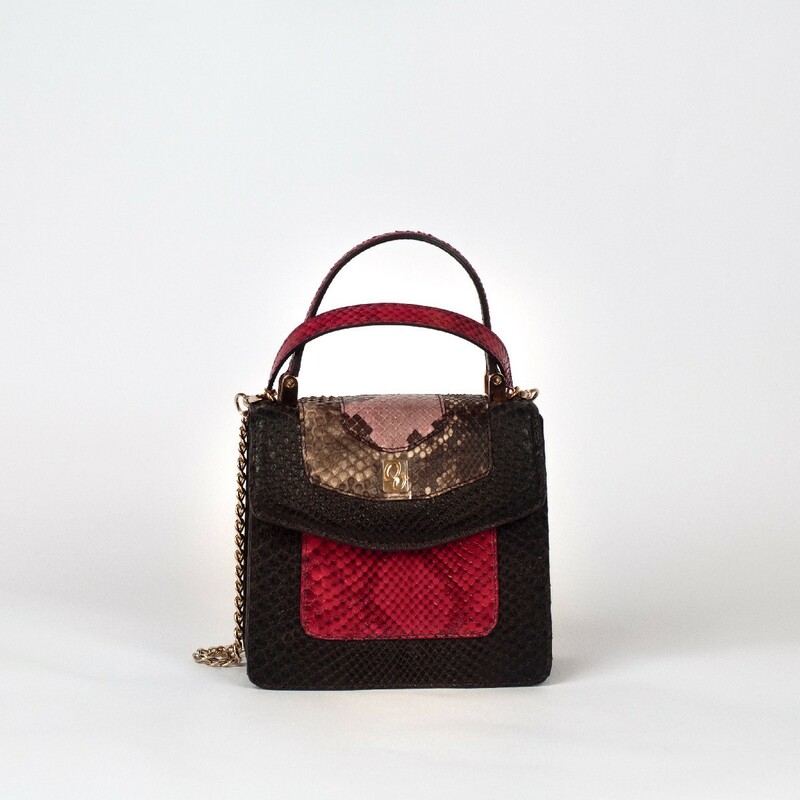 Many big brands of the world fashion panorama decided to give up on exotic leather for the creation of their new collections, motivating their choice with moral and ethic reasons. In their opinion, in fact, there are not enough controls on the “controlled trade” of these leathers; in addition, the use of exotic leathers for the realization of the new fashion collections is getting more and more controversies on the part of convinced animal activists who boycott the catwalks with demonstrations in defence of animal rights. If we focus on these first considerations, we would all agree that the only choice is to say no to the use exotic leathers in order to avoid the killing of many animals only for profit and, perhaps, even for vanity of those who periodically buy this kind of article. 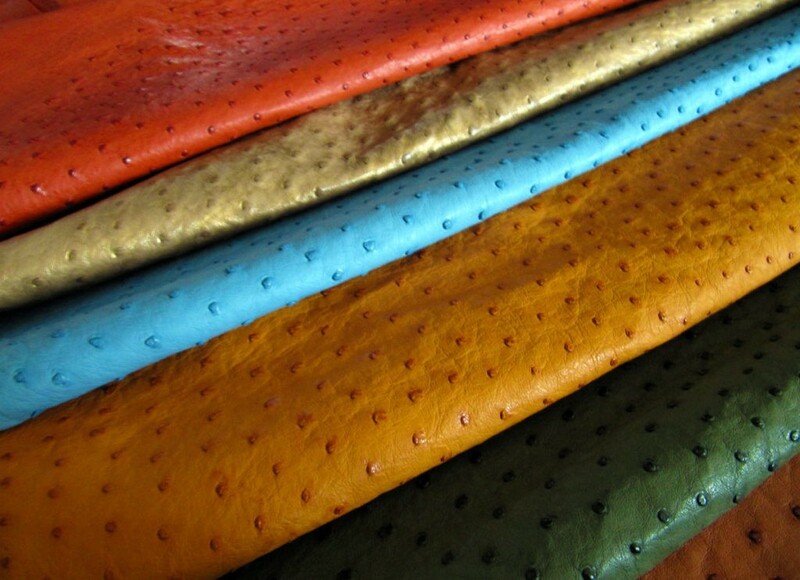 But is giving up exotic leather a sign of eco sustainability and protection towards these endangered animals? Well, unfortunately the answer is no. If apparently it may seems that we are doing something good for these animals by saving their lives, avoiding legal trade of exotic leather will only lead to serious damages both to the ecosystem these animals live in and to the populations taking care of them who through a controlled trade manage to live and develop economy. This is the warning call that IUCN – International Union for the Conservation of Nature, a non-governmental organisation that is part of the General Assembly of the United Nations -, sent out a few weeks ago, after Chanel’s decision to stop using exotic leather for new collections. Avoiding the trade, believing that by doing so we can protect and save the ecosystem of these animals, is useless and counterproductive for Nature and the animals themselves. As we always say in this blog, these species might be at risk of extinction and they are protected and safeguarded by CITES (Washington Convention on International Trade in Endangered Species of Fauna and Flora) which through local populations controls their development and reproduction, ensuring the continuation of the species and preventing their extinction. How? By preserving the natural habitat and by monitoring their reproduction in nature, by protecting and, when necessary, by collecting the eggs; by letting animals live in controlled farms where they try to guarantee good living conditions and a good reproduction; and again, by taking a certain number from nature. Also the selection and the consequent trade of the leather is rigorously controlled by the CITES organs. At the base of this work there is the preservation of the species. The money obtained from the trade is used to pursue the local economy of these developing countries and a good part of it is reinvested in the environment to protect rare species of fauna and flora, protect forests from the attacks of hunters and unscrupulous people ready to sacrifice any specimen for their own ends. What would happen if all of us decided to give up the purchase of exotic skin and therefore to direct our trade toward apparently “more eco” choices? Without the trade of exotic leather many farms would be forced to close and there would no longer be a constant control and monitoring of the pieces. The animals would go back to life “in the open” and would certainly become prey, not only of larger animals but also and above all, prey of unscrupulous poachers who would not hesitate a moment to kill them (with questionable and not certainly legal methods). Obviously, it will be the animal most at risk of extinction the most coveted because the income from their death will be greater. The local population currently surviving with this type of trade would no longer receive subsidies and there would be very serious repercussions on the economic life of these developing countries that will return to poverty. There would be a real collapse of the economy because the means that guarantee a stable subsistence to these populations would be lacking. Furthermore, this same population would no longer be interested in habitat conservation and in the construction of new farms. The existing ones would be destroyed and their area would be used for other purposes, such as for construction or for agricultural purposes. So far many efforts made by associations in defence of these endangered species and all the activities promulgated by the CITES, would become useless because par of the ecosystem would definitely be lost. Even if the farms had to close and all of us had to decide to definitively give up on the use of exotic leather for our products, the client would want to continue to surround himself with these same items in exotic leather. The only difference would be that they would no longer find those who provide these certain products scrupulously respecting the laws, so they would rely on people able to find these skins even in an illegal way, someone who just to keep the business going with use exorbitant prices, maximum infringement of the rules and bans, and above all, someone who will cause incredible damage to natural life. Do we really want all this to happen? We do not believe that giving up is the most appropriate solution because there are many balances that would fall, to the disadvantage of animals. Instead, we believe in a policy that controls and monitors more and more the actual regularity of each stage, from the breeding to the sale of the hides, so that any operation is made in total legality and in respect of the protection of the species. This is the focal point around which rotate all the activities and constant efforts of the CITES. Working in this world and wanting to do it in a completely transparent and legal way, we want to be informed about everything that is hidden behind the simple trade of exotic leather so that everything is transparent and carried out in full fairness. 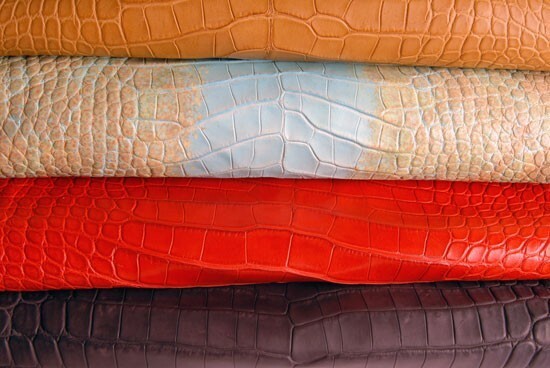 It’s a topic that we love and we want to keep you updated so that you too can be aware of what happens every time you buy one of our exotic leather products. To protect a species from extinction does not mean safeguarding only that specific species but it means protecting its entire habitat and all the other species that live alongside it. By giving up the trade in products and derivatives made of exotic leather, this aid would disappear and the species would return to danger. What do you think about this topic? Leave your comment! This entry was posted in Leather, News on 02/05/2019 by miro.ekaterina. You’re welcome and thank you for your comment! We will be posting more, so stay tuned!